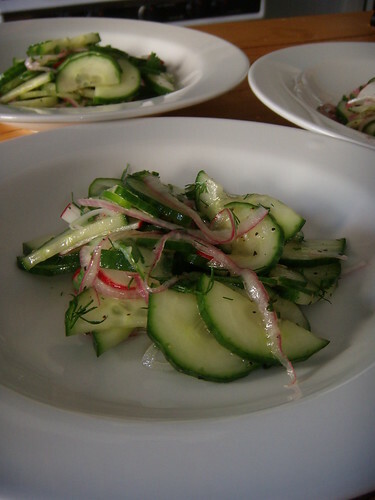 cucumber salad, originally uploaded by aarn! +29th April, 2008+. sliced up some english cucumbers, finely sliced red onion, radish, fresh dill and cilantro...tossed in a dressing of seasoned rice vinegar, cracked pepper, olive oil, and sugar, then chilled.